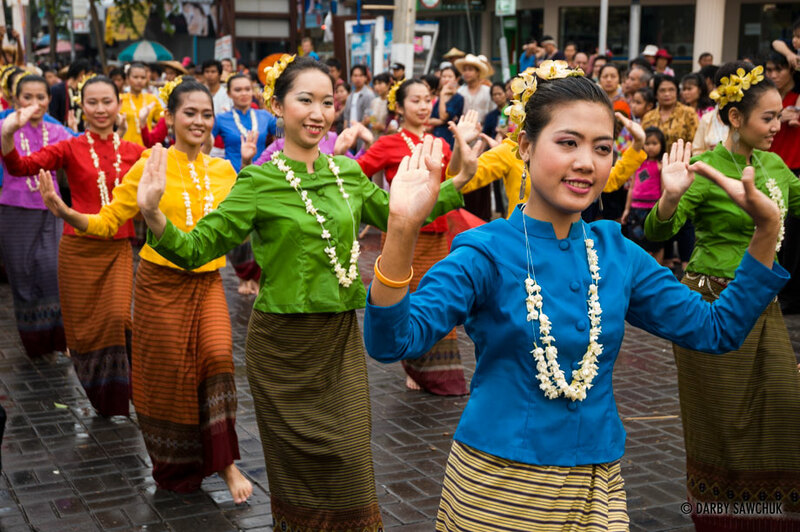 April 13–15 sees the people of Thailand mark their New Year with traditional Buddhist rituals, crowded parades, modern festivities, and enough water throwing to quell numerous forest fires. 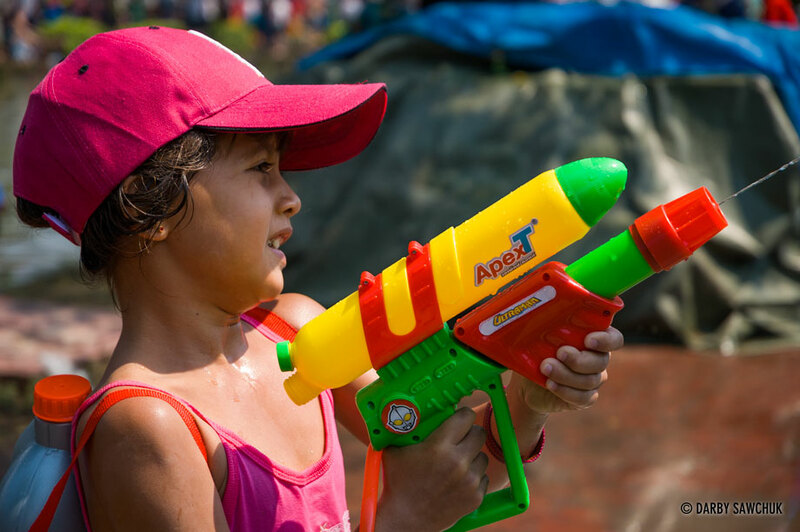 The city of Chiang Mai exhibits a particularly fervent celebration with the whole city turning into a battleground for water fights. 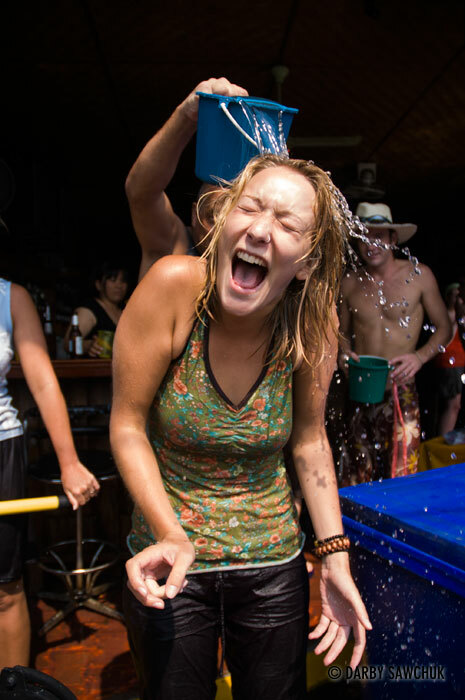 The Songkran festival marks the end of the dry season and the water tossing serves to provide more than just laughs. April is the hottest month of the year in Thailand and getting wet is a welcome respite from the 40-degree temperatures. But more than anything, it’s an immense amount of fun. Engaging in the anarchic, joyous, hilarious water fights is some of the most fun I’ve ever had. 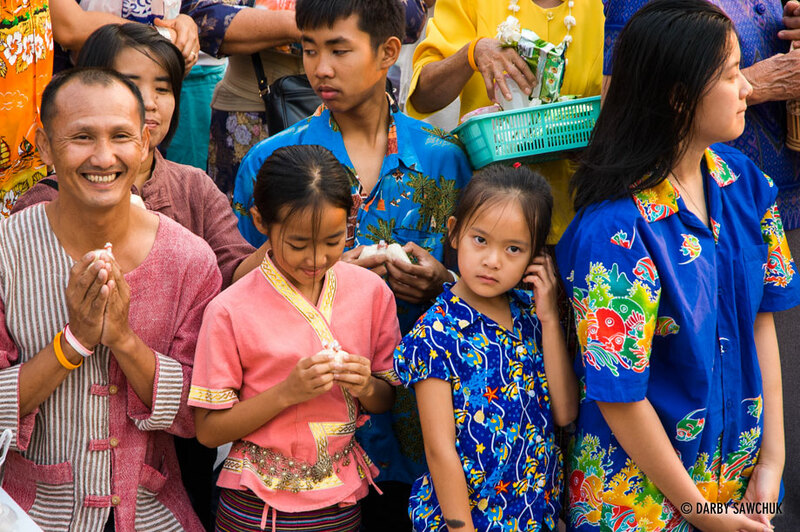 This chaos runs concurrently with traditional, beautiful, and serene Buddhist rituals that contrast with the wild, inescapable soakings of the water fights. 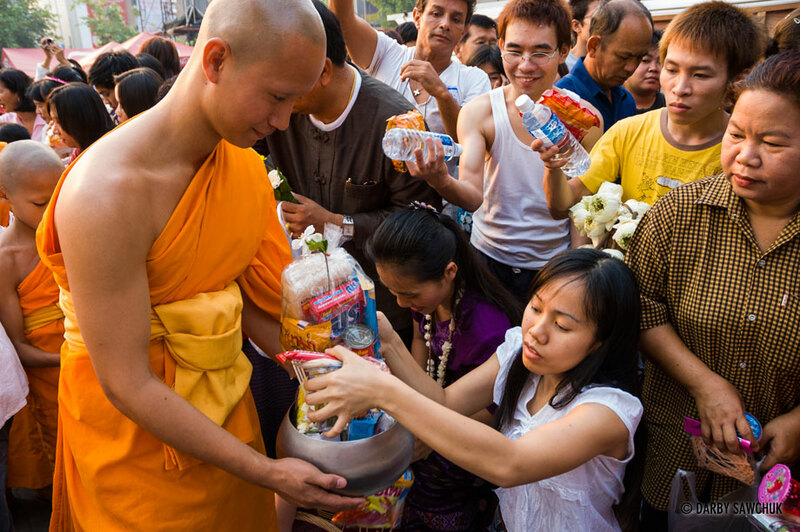 One moment, worshippers are making offerings to Buddhist monks, and soon after, they’re dousing each other with ice water or jumping into one of the city’s moats. It’s an extraordinary party. 01. 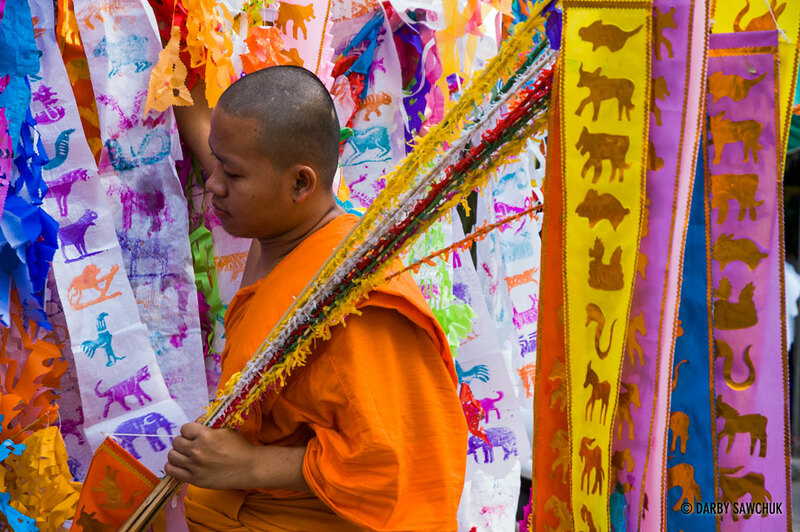 A novice Buddhist monk tends to the banners placed by worshipers at Wat Phra Singh in Chiang Mai, Thailand during Songkran. 02. 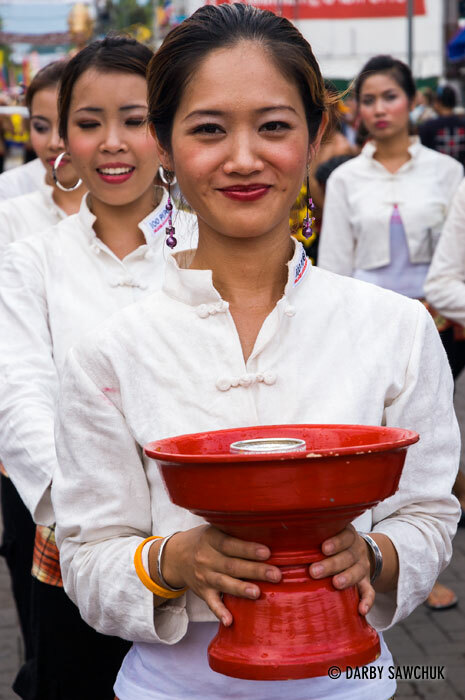 A woman carries an offering bowl in a procession during the Songkran New Year festival in Chiang Mai, Thailand. 03. 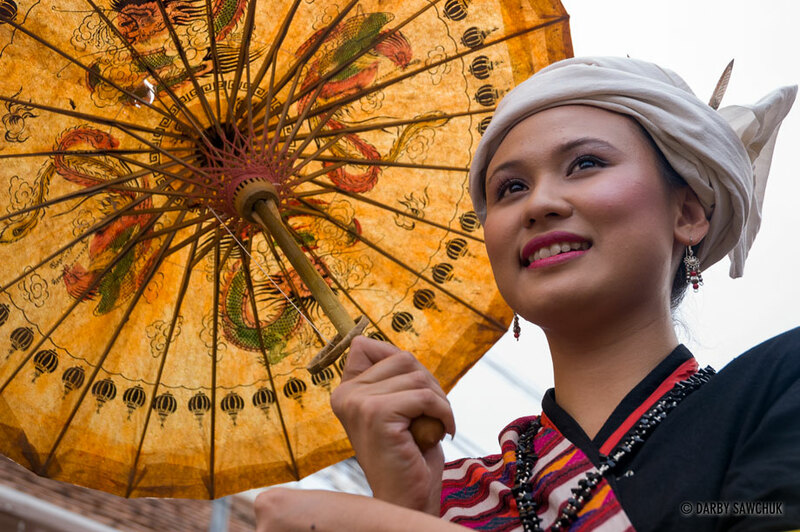 A woman carries an umbrella in a procession during the Songkran New Year festival in Chiang Mai, Thailand. 04. 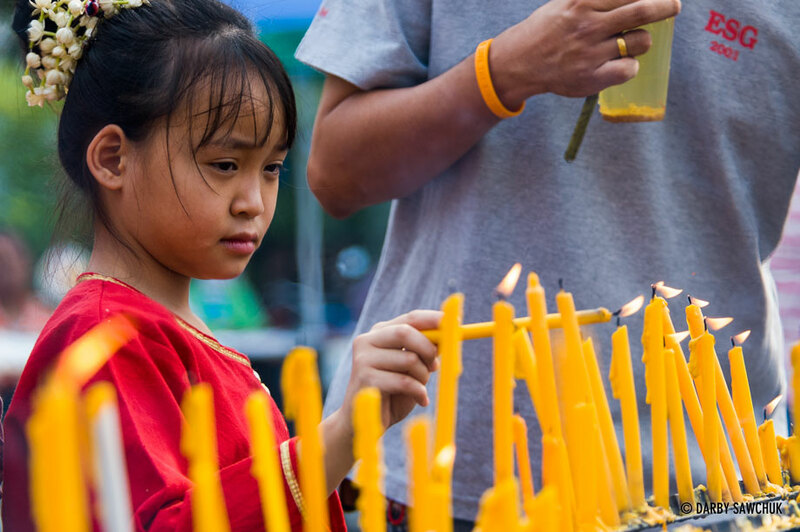 A young girl lights a candle at Phra Singh temple in Chiang Mai, Thailand during Songkran. 05. 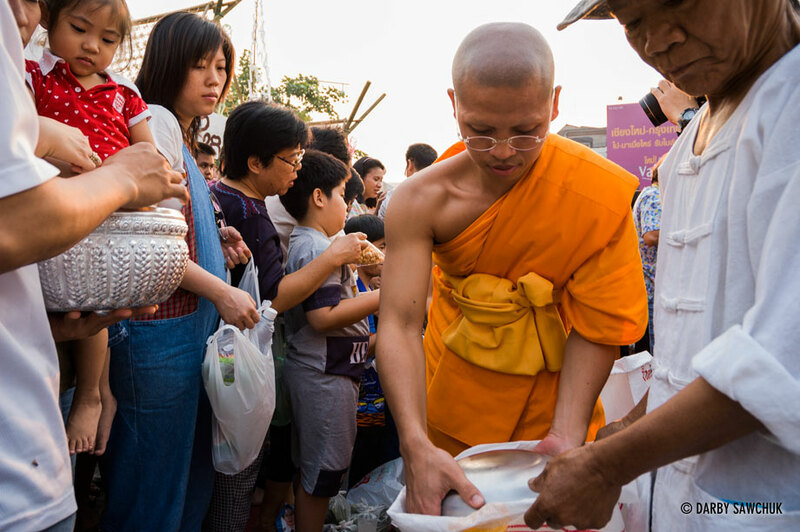 Worshippers prepare to give food to monks during merit-making ceremonies in the Thai New Year Songkran festival in Chiang Mai. 06. 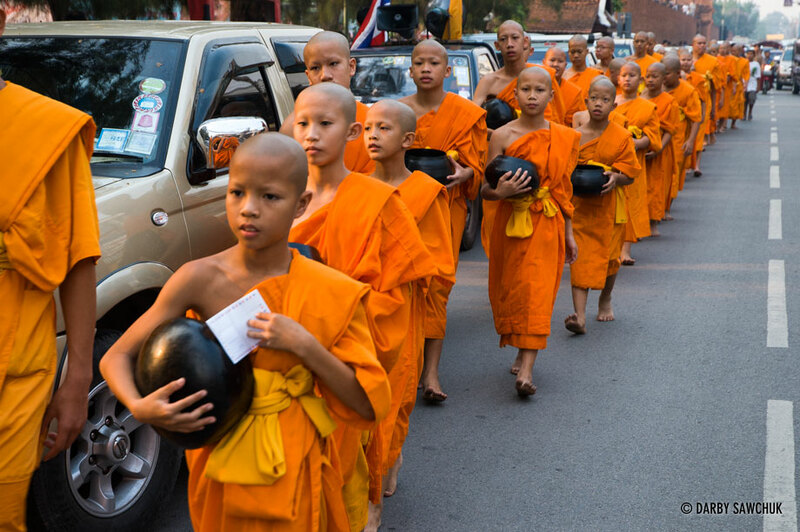 Buddhist monks participate in morning merit-making ceremonies during Songkran, the Thai New Year, in Chiang Mai Thailand. 07. Buddhist monks participate in morning merit-making ceremonies during Songkran, the Thai New Year, in Chiang Mai Thailand. 09. 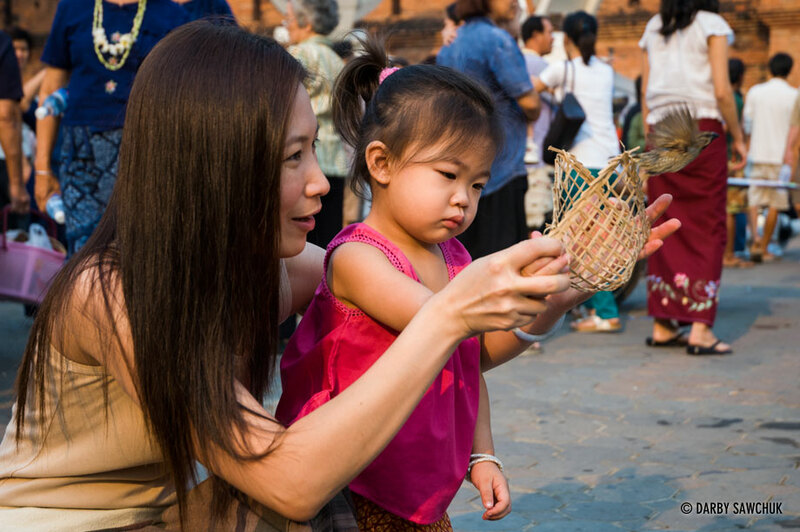 A mother and daughter release birds from a cage to gain good luck in Chiang Mai, Thailand during Songkran. 10. A young Thai girl makes a symbol of greeting called a wai. 11. A participant in the Miss Songkran contest held in Chiang Mai Thailand as part of the Songkran New Year festivities. 12. 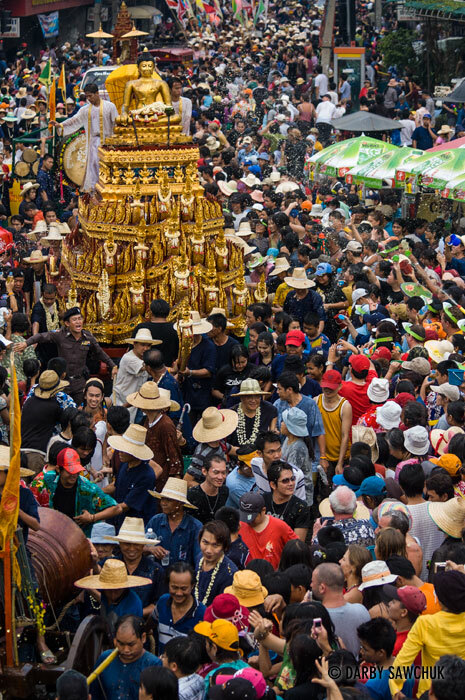 Citizens of Chiang Mai, Thailand throw water on a Buddha image in a procession during the Songkran New Year festival. 13. 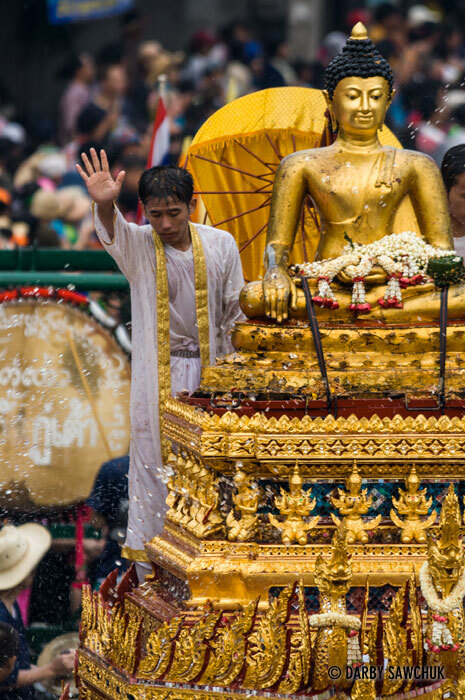 Citizens of Chiang Mai, Thailand throw water on a Buddha image in a procession during the Songkran New Year festival. 14. 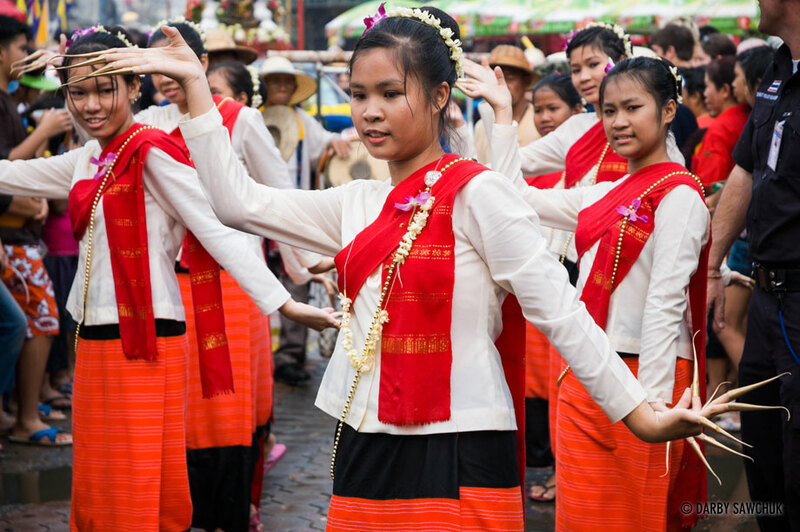 Woman perform a fawn dance in a procession during the Songkran New Year festival in Chiang Mai, Thailand. 15. Woman perform a fawn dance in a procession during the Songkran New Year festival in Chiang Mai, Thailand. 16. 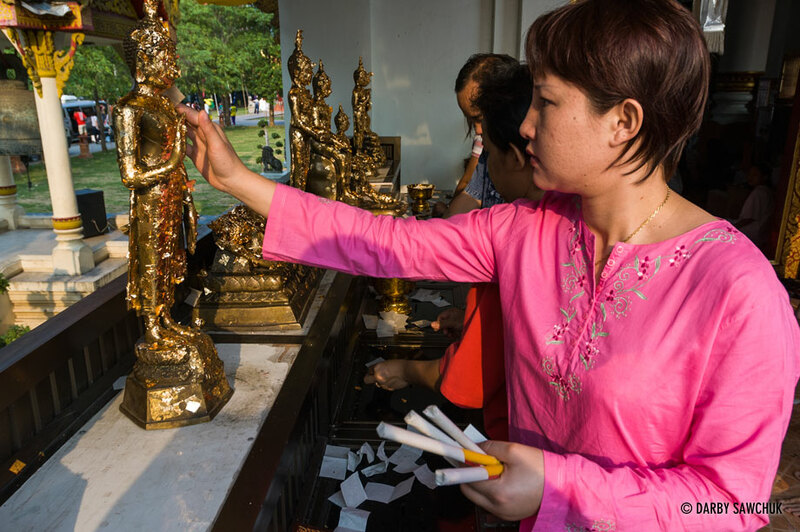 A worshipper applies gold leaf to the Buddha images at Wat Phra Singh in Chiang Mai, Thailand during Songkran. 17. 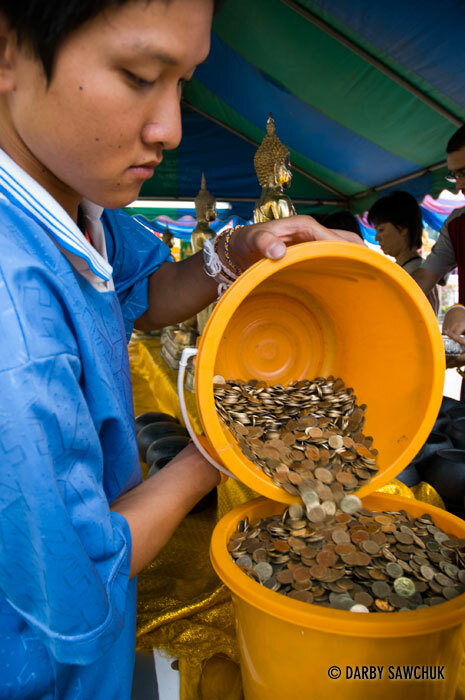 A man attends to coins offered by worshippers at Phra Singh temple in Chiang Mai, Thailand during Songkran. 18. 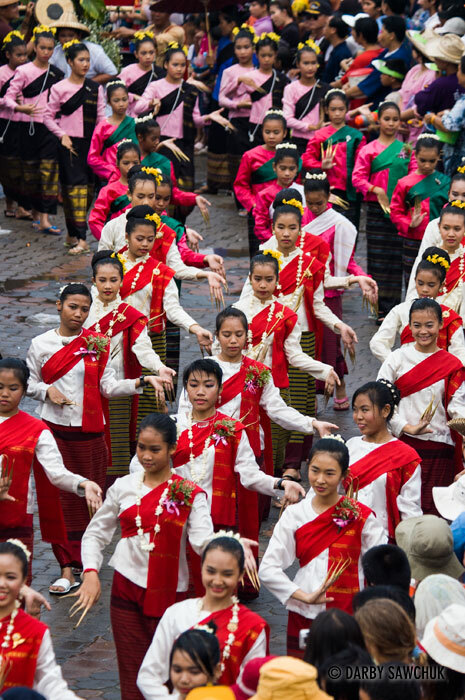 Women dance outside Wat Phra Singh in a procession during the Songkran New Year festival in Chiang Mai, Thailand. 19. 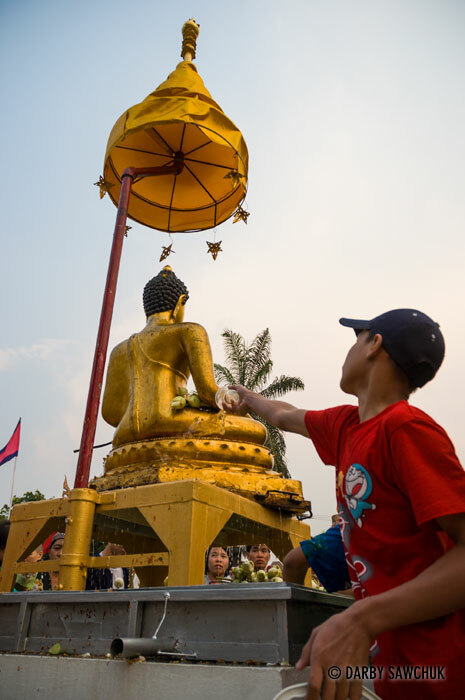 A worshipper splashes water on the Buddha image at Wat Phra Singh in Chiang Mai, Thailand during Songkran. 20. 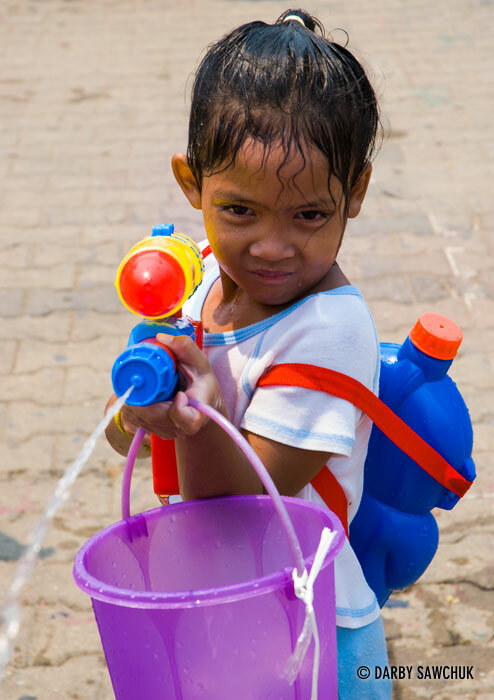 Water fights take over the streets of Chiang Mai, Thailand during the Songkran Thai New Year Festival. 21. Water fights take over the streets of Chiang Mai, Thailand during the Songkran Thai New Year Festival. 22. Boys ride a tire swing into the moat of Chiang Mai, Thailand during the Songkran Thai New Year Festival. 23. 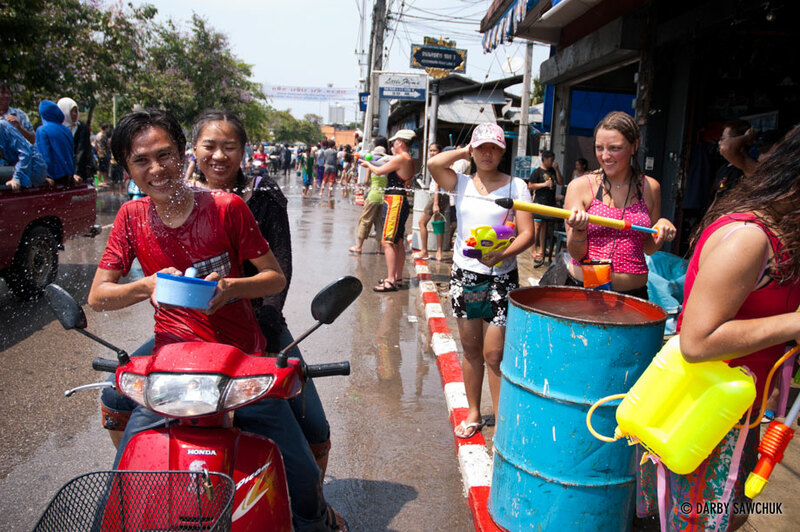 Water fights take over the streets of Chiang Mai, Thailand during the Songkran Thai New Year Festival. 24. Water fights take over the streets of Chiang Mai, Thailand during the Songkran Thai New Year Festival. 25. Water fights take over the streets of Chiang Mai, Thailand during the Songkran Thai New Year Festival. 26. 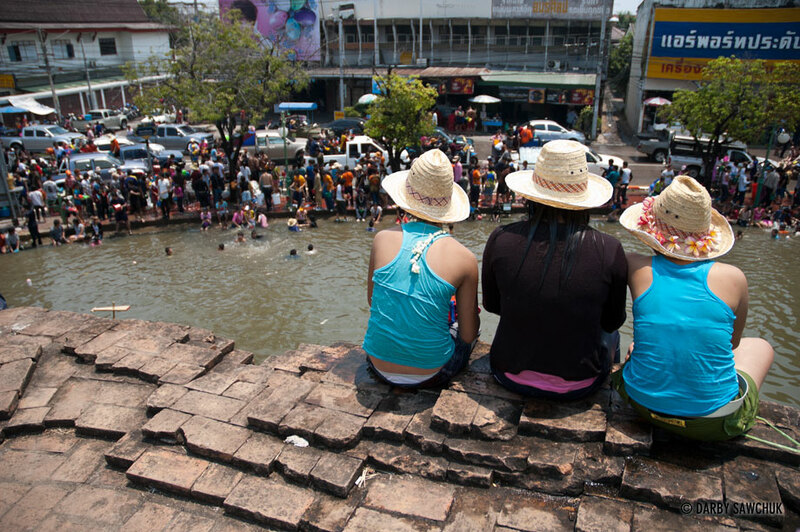 Girls sit above the moat of Chiang Mai, Thailand during the 2006 Songkran Thai New Year Festival. 27. 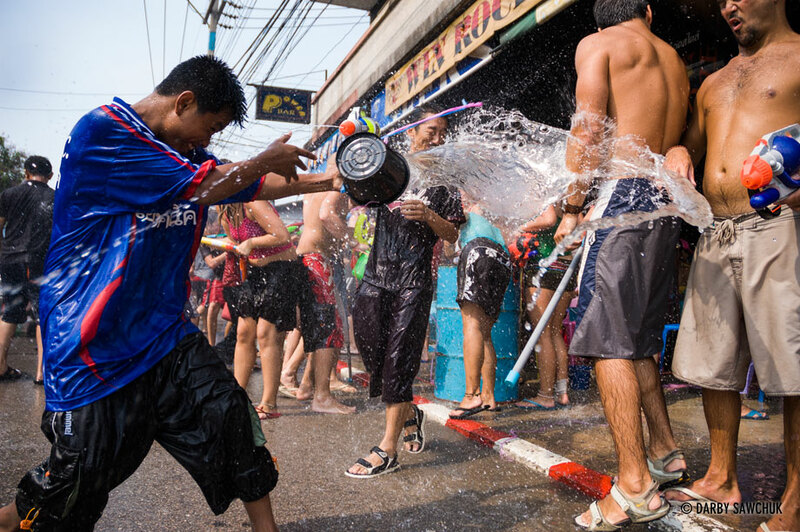 Water fights take over the streets of Chiang Mai, Thailand during the Songkran Thai New Year Festival. 28. Water fights take over the streets of Chiang Mai, Thailand during the Songkran Thai New Year Festival. 29. 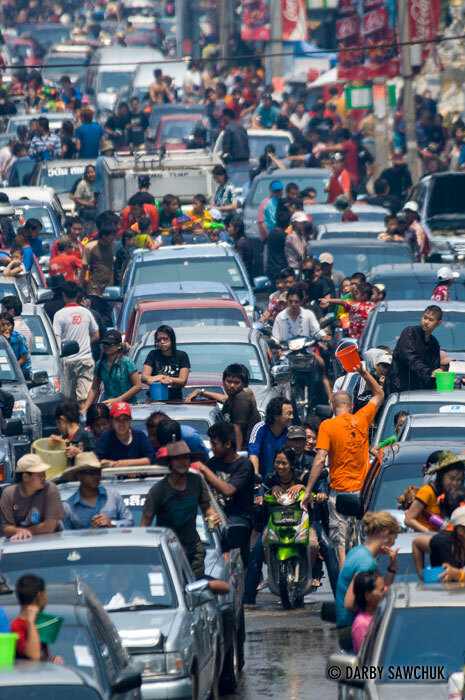 Water fights take over the streets of Chiang Mai, Thailand during the Songkran Thai New Year Festival. 30. 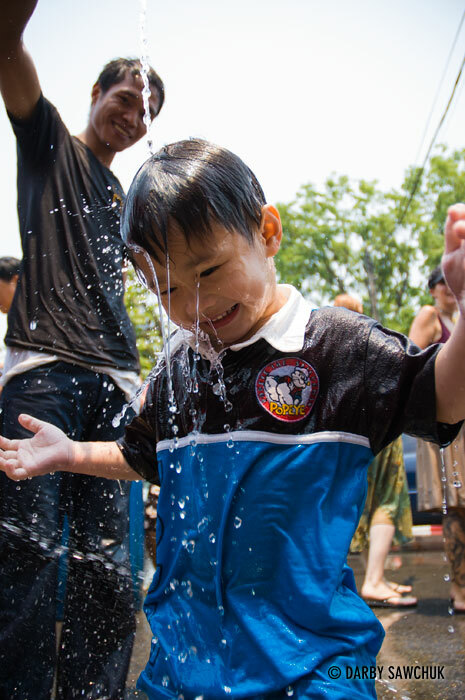 Water fights take over the streets of Chiang Mai, Thailand during the Songkran Thai New Year Festival. 31. Water fights take over the streets of Chiang Mai, Thailand during the Songkran Thai New Year Festival. 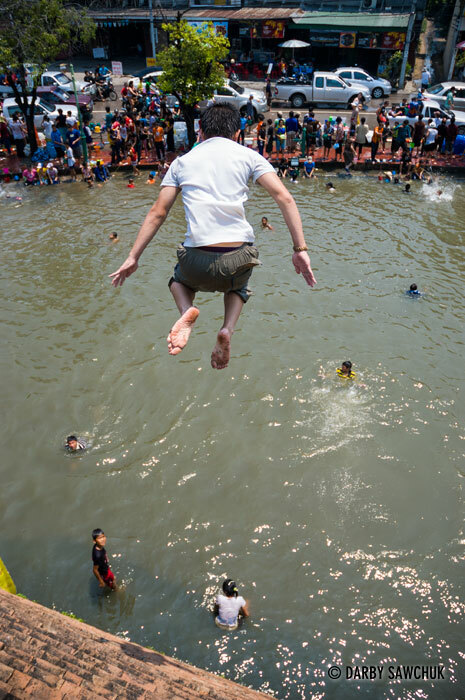 32.A boy jumps from the walls of Chiang Mai, Thailand during the Songkran Thai New Year Festival. 33. Water fights take over the streets of Chiang Mai, Thailand during the Songkran Thai New Year Festival. 34. Water fights take over the streets of Chiang Mai, Thailand during the Songkran Thai New Year Festival. 35. Water fights take over the streets of Chiang Mai, Thailand during the Songkran Thai New Year Festival. 36. Water fights take over the streets of Chiang Mai, Thailand during the Songkran Thai New Year Festival. 37. 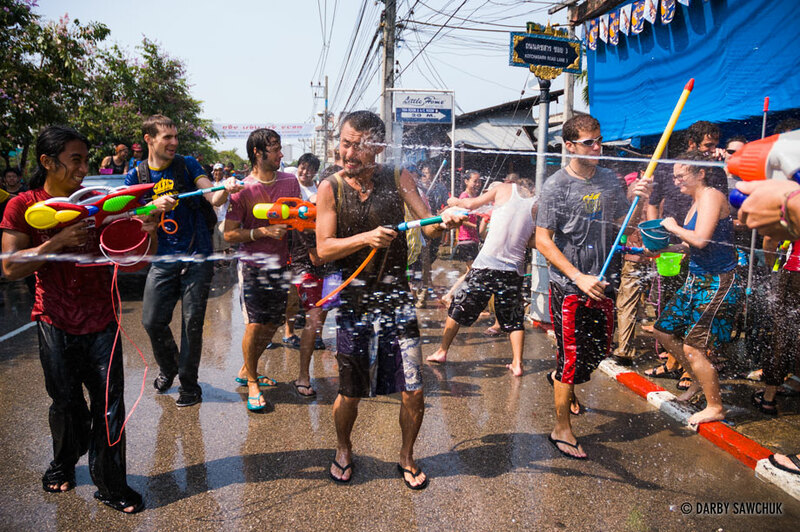 Water fights take over the streets of Chiang Mai, Thailand during the Songkran Thai New Year Festival. Keywords: photos of thailand, images of thailand, pictures of thailand, landscape photography, people photography, travel photography, architectural photography, fine art prints, stock photography, pictures of songkran, images of songkran, photos of songkran.